1. Where is the plant located? Are there any other plants also? The plant is located in the industrial town Hosur in Tamilnadu, near the IT city Bengaluru and approximately at a three hour drive from Bengaluru airport. We service all the requirements from one single plant in Hosur. 2. What is the Capacity of the plant? CUMI IC makes a variety of products to suit to its customer requirements. Hence it is difficult to measure the overall capacity of the plant by one unit of measurement. CUMI IC is world’s 2nd largest Metallised cylinders manufacturer with a capacity of 1.5 lacs cylinders per month. For standard wear resistant products, the capacity is measured in tonnes and throughput is ~700 tonnes of products each month. 3. What is the size of the company in terms of revenues? We are a mid-sized company with an annual turnover of ~220 crores (FY 2016-17). 4. Are you a listed company? CUMI IC is a division of CUMI which has four companies in the field of Abrasives, ceramics, refractories and electro-minerals. CUMI is listed on BSE. 5. Is it an ISO certified company? Yes, CUMI IC is an ISO-9001, ISO-14001 & OHSAS-18001 certified company. 7. Do you have a dedicated R&D facility? Yes, CUMI IC has a state of the art R&D facility and a dedicated team of material experts who tirelessly innovate new material formulations to suit to the customers’ specific requirements. The new R&D facility was inaugurated on 27th Aug’ 2016. The R&D facility is DSIR (Department of Scientific and Industrial research) certified. For details visit capabilities section our website. 8. How frequently do you launch new products? 9. Do you have technical collaborations? Are there any co-development opportunities? 1. What is the product range? We manufacture wide range of products which include our standard offerings as well as customised products. The material formulations are deigned to cater to the specific requirements of our customers. 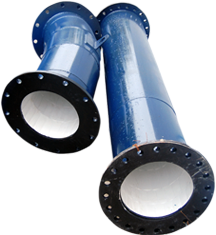 We have products for wear resistant, corrosion resistant, dielectric, thermal resistant applications etc. Please visit solutions section on our website for details. 2. Do we have only standard products or customised products also? We have a wide range of standard products for plug & play and emergency requirements of our customers. We have 25 years of expertise in understanding our customers’ needs and providing them with the customised solutions. 3. How can I be assured about the quality of products? At CUMI, we always think customer first, always! We comply with international standards of quality and 70% export business is a testimony to our relentless pursuit for providing nothing but only best quality products. We have several quality gates before dispatch of the parts to ensure a delighted experience for our customers. 4. What is the lead time for production? Since there are numerous variety of products we make, it’s difficult to categorise them in a single lead time. The minimum lead time is for standard products which is at around __ days whereas for customised products it entirely depends on the size and complexity of the part. For details please contact our experts today. 5. What are the different materials being used? We make use of both oxides as well as non-oxides for our products. The oxides include high purity alumina ranging from 90% to 99.8% alumina content & Zirconia(MgPSZ& YPSZ). In non-oxides we have Reaction bonded Silicon Carbide (RBSiC). We also have some customised material composites for specific applications. Please visit our materials section inside Solutions. 6. How do I know which material/productis best suitable for my application? We have a team of dedicated material experts to choose the optimum material for your application. All you need to do is to lets us know your application & your requirement and we will tell you what material suits your application best. 7. What is the typical life of a product? There are many factors which determine the life of a product. The severity of the application environment, material thickness etc. But rest assured we can design the material formulation and product to suit your useful life requirement. Contact our experts today for your requirement. 8. What are the key benefits of using CUMI products? At CUMI, whatever we do, we think customer first, always! This single minded customer obsession leads us to design and implement solutions which are far better than our competitors in terms of relevance, reliability and profits for our customers. 9. Which all industries are using CUMI ceramics products? 10. How do I know the application and technical details about products? You can see the product details categorised by applications, industries and materials on our website under solutions tab. 1. What is the lead time for delivery of products after the order is placed? The lead time for delivering standard products is four weeks from the date of order confirmation. The lead time for customised products vary from 4-8 weeks depending on the complexity of the requirement. For emergency requirements, please contact our emergency helpline. 2. Which all services are provided by CUMI? We believe in providing complete solutions to our customers. We consult our customers for choosing the best material and product for their application and we undertake installation and maintenance at site locations and perform in-house pre-engineered fabrications. For details please visit services page in solutions. 3. Is there any warranty on the products? The warranty terms are defined based on the application and working environment. However, the warranty terms can be negotiated at the time of order finalisation. 4. How much time does it take for deputing installation team at the site after order is released? What is the lead time for lining installation? It takes around 15 days from the date of Part ordering (P.O.) for deputing installation team on site. However for urgent requirements the process could be expedited. 5. Do you have dedicated dealer networks for delivery? Yes, we have extensive dealer network in India as well as in export markets. For details, please contact us and we will help you to locate your nearest dealer. 1. Do you have standard packing system? Yes, we have standard packing system. We also do customise packing. Our packaging is suitable to arrest any kind of Transit damages or odd whether conditions, and hence delivering the products safely right at your doorstep. 2. What are the standard sizes? 3. Do you follow any international procedure for fumigation? Yes, we do follow international procedures for fumigation. Please see the sample certificate. 4. Do you use recyclable/bio-degradable material for packing? Yes, we use bio degradable and recyclable material for packing.